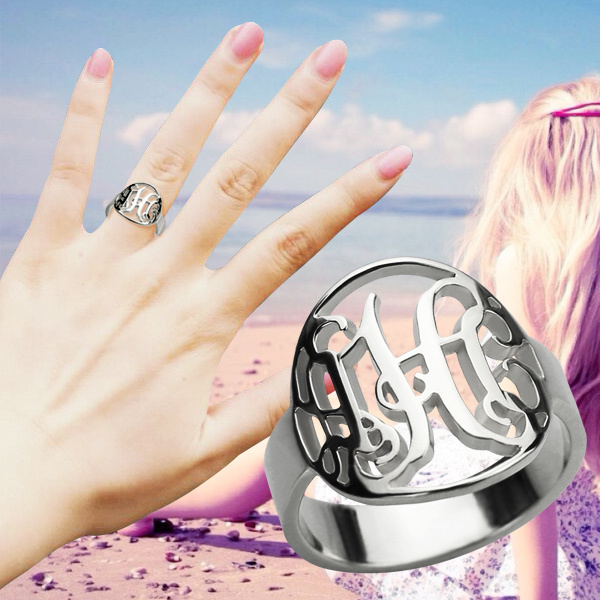 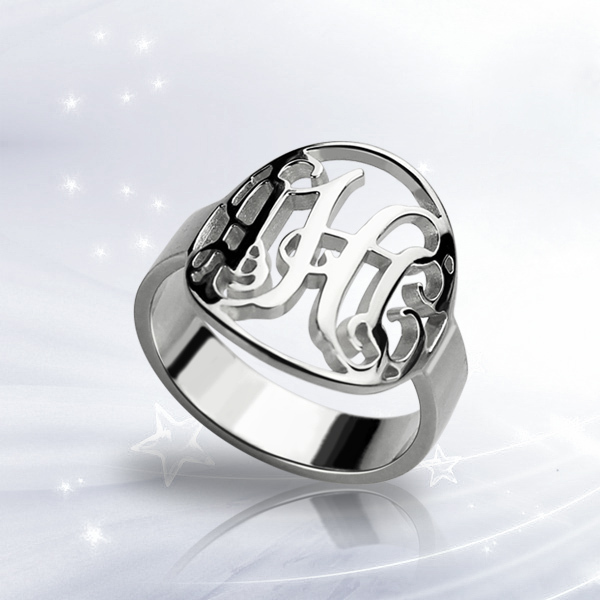 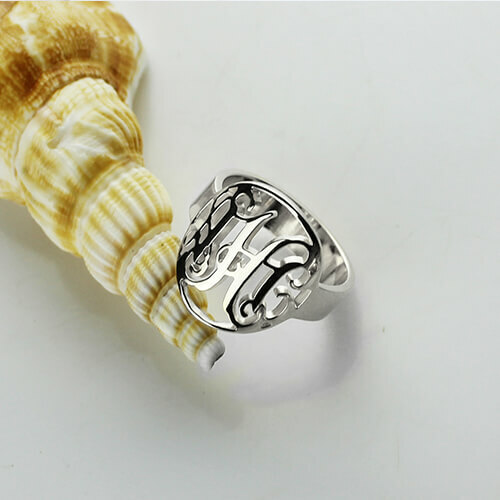 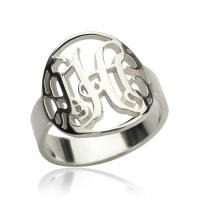 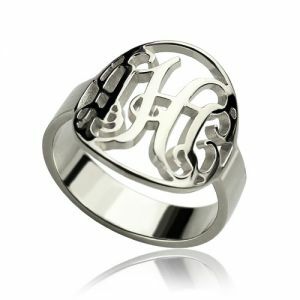 Unqiue gift - Cut Out Monogram Initial Ring Sterling Silver Showcase a signature look that is just your style! Elegant in sterling silver, this fashion ring features three initials expertly sculpted in modern monogram lettering. State your initials in the order in which you would like them, left to right (the center initial will be larger as shown.